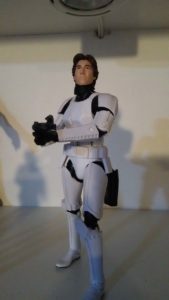 One more entry in the “Han in Stormtrooper” series, here’s the Hasbro Black Series 6″ Han in Stormtrooper. It’s a decent figure. Good articulation and it stands on its own.